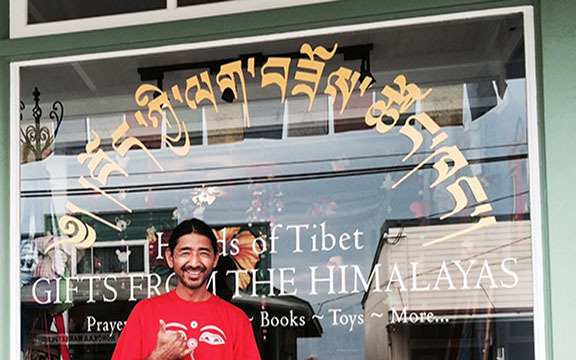 You’ve found your way to Hands of Tibet, a Tibetan owned family business. Hands of Tibet is a dream many years in the making. It started as a hobby that Tenzin ran out of a closet in the family’s tiny apartment! 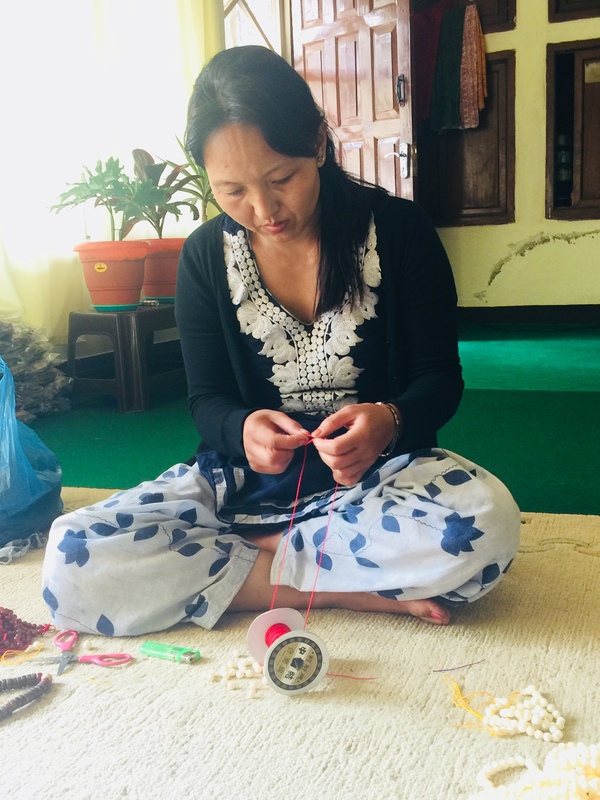 It has grown over the past fifteen years into and online business that provides Tibetan, Nepali, and Balinese families with a living wage and provides customers with a variety of quality, handmade goods. 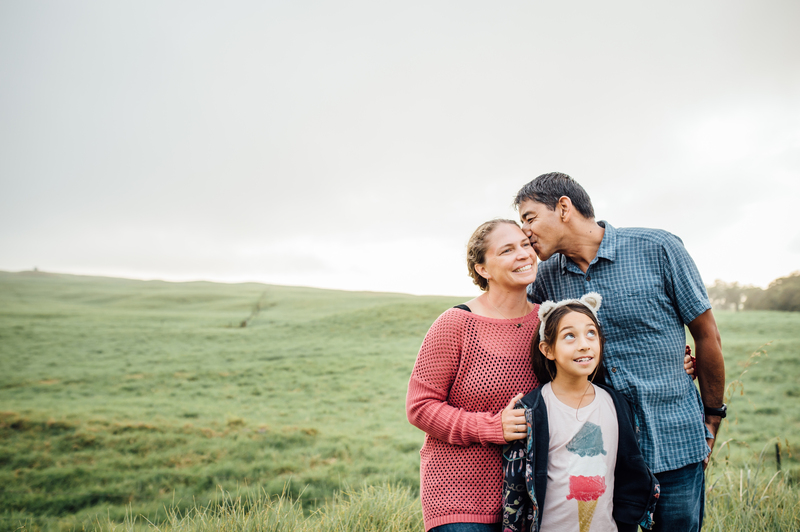 Our brick and mortar shops, located in Hawi and Honoka’a on the Big Island of Hawaii, allow us to connect with two small towns in our community as well as share artwork from around the world to those here in Hawaii. The seeds for Hands of Tibet were planted almost a lifetime ago in Lhasa, Tibet. Tenzin grew up in Lhasa, the son of a Newari trader from Nepal and a Tibetan laborer. Tenzin is a third generation entrepreneur and trader; his father, and grandfather before him, traded throughout Tibet and Nepal. Tenzin grew up working in his father’s booth in the Bharkor section of Lhasa City. After the death of both of his parents, Tenzin left home at age 17. Feeling the pull of adventure, Tenzin journeyed through the Himalayas from Lhasa to India. He eventually joined a monastery in India and became a monk. Tenzin was a practicing Tibetan monk for 10 years. Tenzin met his wife Robyn at a small monastery outside of Kathmandu where they were both teaching. They fell in love and married in 2001. Tenzin and Robyn lived in Coeur d’Alene, Idaho and Putney, Vermont before moving to the Big Island of Hawaii. Tenzin loves Hawaii because of the immense natural beauty, beautiful weather, and the mix of cultures. Each of the items I carry is handmade by artisans that I have met in Nepal or Indonesia. I am often asked why the cost of my items seems so low. The answer is simple! 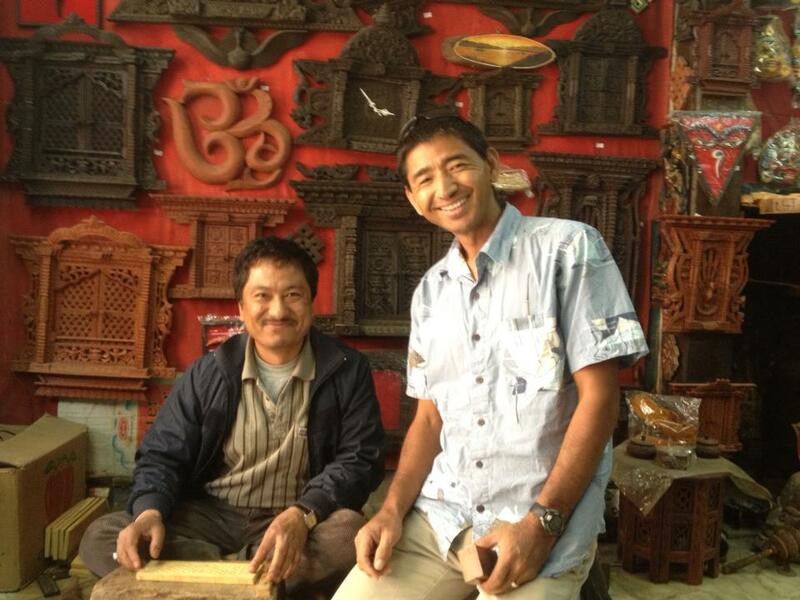 I buy directly from artisans in Nepal and Bali. I believe everyone should be able to afford beautiful, spiritual items that enhance our everyday lives. I pay more than a living wage to the artisans with whom I work. Happy, thriving people create objects filled with positive energy and joy. That positive energy is absorbed by each object that is created. When you purchase one of our malas or a set of prayer flags, you are a continuation of the link of good energy. With all the negativity in the world, I want to be a force of good. Robyn comes from a family of entrepreneurs and educators. Robyn first travelled to Nepal as a college student in 1998. She loved the world she discovered in and around the Kathmandu Valley and decided to return to teach after graduating from college in 2000. Robyn lived and worked at the Manjushri Di-Chen Buddhist Learning Center in Pharping where she learned to speak Nepali and appreciate the culture in which she was immersed. 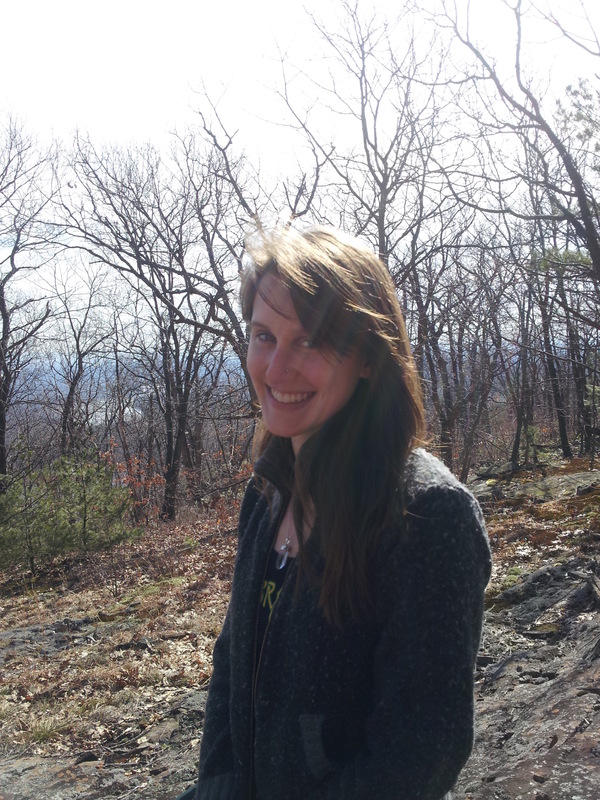 While teaching in Pharping, Robyn met and fell in love with a fellow teacher, Tenzin Norbu. Tenzin will often say of Robyn, “She’s so amazing, isn’t she? !” with a smile, and raised eyebrows. Robyn works hard and cares deeply about her family, work, friends, and the world we share. Robyn laughs often (in fact she once pulled a muscle laughing!) and values the role mindfulness plays in reminding us of the beauty in our lives. Robyn holds a degree in Environment Science from Willamette University and Master of Arts from the School of International Training (SIT) in Vermont. Robyn is a talented and passionate teacher, and she is an adventurer at heart. Robyn loves to spend time with family and friends, travel, meet new people, and discover pockets of unexpected beauty. She has run marathons, trekked through the Himalayas, and (perhaps most bravely and adventurous of all!) taken groups of teenagers on trips abroad – all with her unforgettable smile and laugh. Gyalten was born in a little town in Tibet called Pembu. He left as a teenager to pursue his interest in Buddhism. 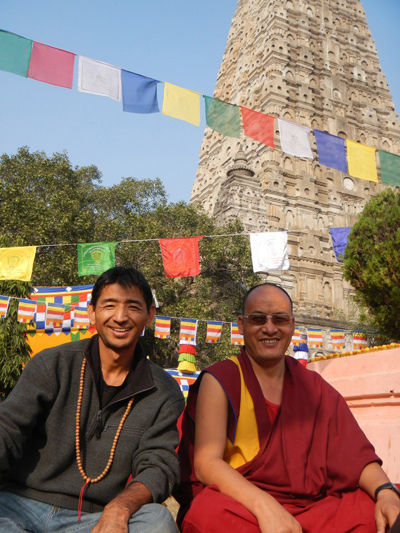 Gyalten and Tenzin met at a monastery in Southern India, where they became best friends. Gyalten is a Tibetan monk from the Gelug (Yellow Hat) sect of Tibetan Buddhism, he holds the degree of Geshe. A Geshe degree is the result of decades of study, it is roughly equivalent to a Ph.D in Buddhist Philosophy. In the past, Gyalten has devoted himself to months of solitary meditation. 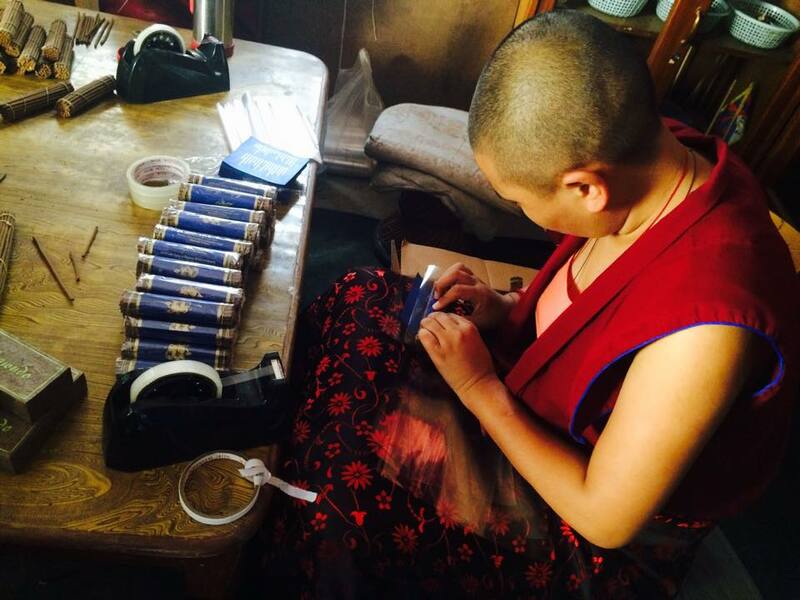 Gyalten has been an indispensable part of Hands of Tibet from the beginning. Working with Tenzin, Gyalten developed relationships with artisans and operated the Kathmandu arm of Hands of Tibet when Tenzin could not be there in person. Gyalten moved to the USA in 2013, he now lives on the Big Island of Hawaii. 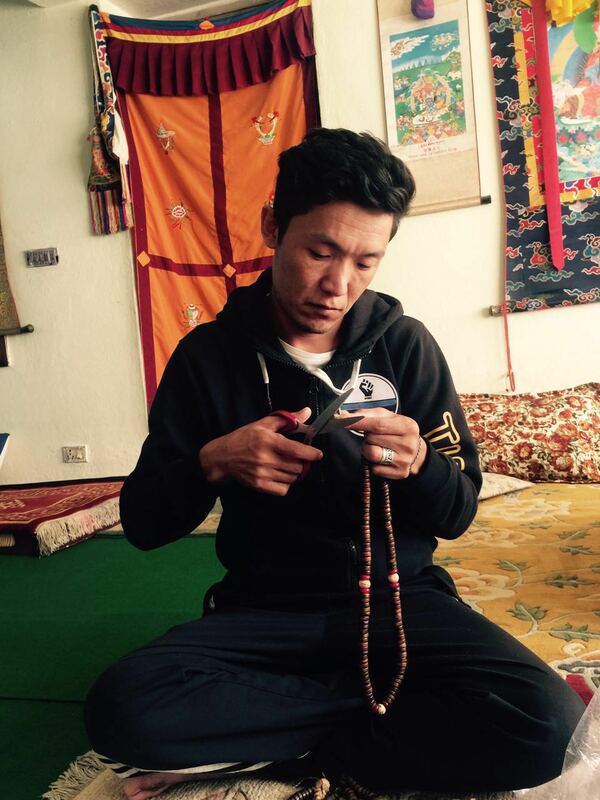 His input and skill are a valuable addition to Hands of Tibet, we’d be lost without his knowledge, and dedication. Gyalten has a wry sense of humor, he makes the best cup of chai tea you will ever have, and he loves the beauty of the ocean in Hawaii. Brianna fulfilled a lifelong dream when she moved from Western Massachusetts to the Big Island of Hawaii with her husband and 3 cats in 2014. She has since become very passionate about experiencing Hawaiian culture through dancing hula with a local halau. In her spare time she enjoys her yoga practice, being in the ocean, snuggling with her cats, spending time with her mom and sister when she is back in New England, and cooking and hiking with her husband, Justin. She has always been interested in natural medicine and is currently enrolled in a master of herbal healing and aromatherapy program with Heart of Herbs Herbal School. 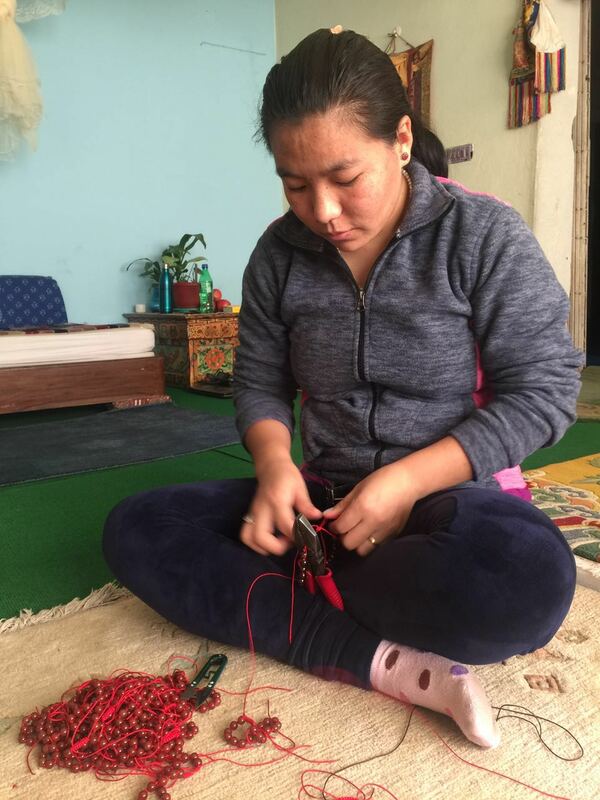 Brianna began working for Hands of Tibet a few years ago and appreciates all that she has learned about Tibetan history—she is very excited to travel to that part of the world someday. Brianna strings love and intention into each mala that she makes for Hands of Tibet! Picture and bio coming soon! Acha means older sister in Tibetan. Acha Tsetan Dolker is Tenzin's eldest living sister. She and her husband, Passang, own and operate a pashmina business in Kathmandu where they make the pashmina shawls we sell at Hands of Tibet. Like Tenzin, Acha Tsetan Dolker felt the pull of adventure and moved to Nepal as a young woman. Tenzin and Acha Tsetan Dolker are from a family of eight siblings, their parents died within a year of each other in the late 1980's. 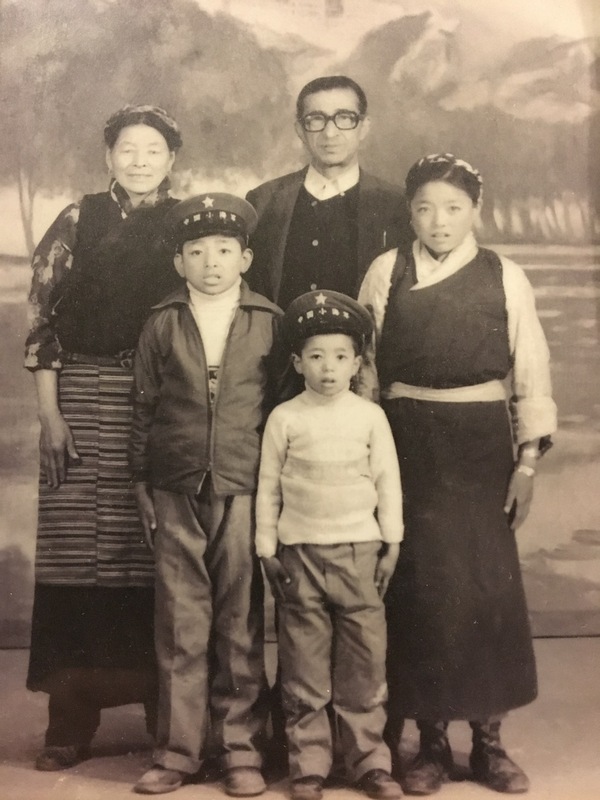 After the death of their parents, Acha Tsetan Dolker moved back to Tibet and took care of the three youngest children, including Tenzin. 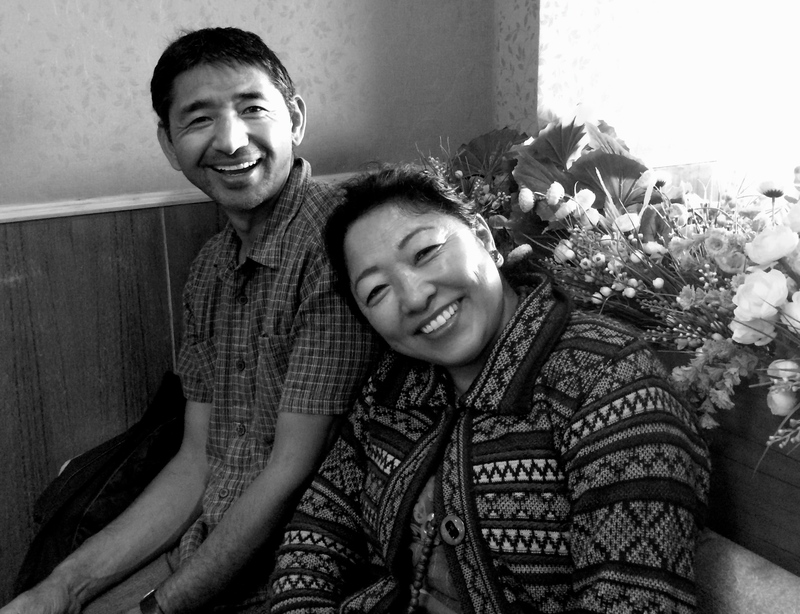 Acha Tsetan Dolker worked hard to support and care for her siblings. 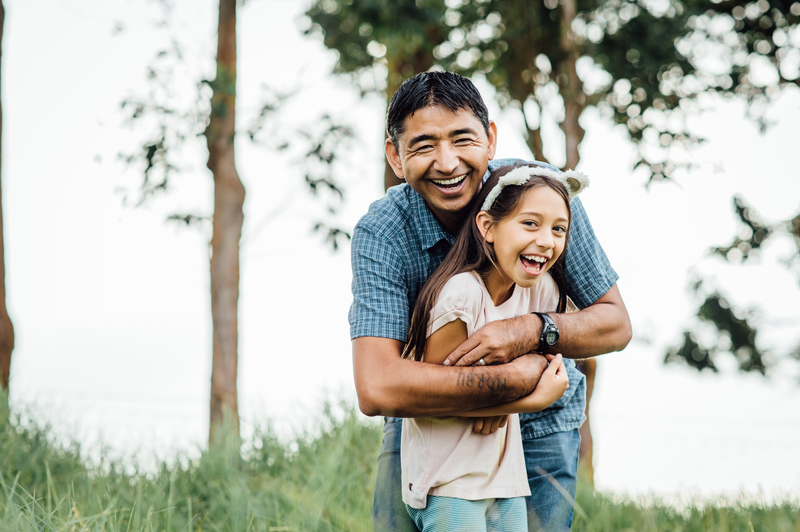 After seeing the youngest child grown and settled, Acha Tsetan Dolker was able to return to Nepal and build her life there. Acha Tsetan Dolker lives in Kathmandu, her home was destroyed by the earthquake but luckily the family and their business were safe. Acha Tsetan Dolker enjoys spending time with her children, family, and friends. Like her father and brother, Acha Tsetan Dolker is gifted in languages and speaks Tibetan, Nepali, and English. Thupten and Palkyi make many of our malas! Thupten and his wife Palkyi are a former monk gushu la and nun ani la. Monastic life is often not a lifelong choice for many Tibetan Buddhists. It is not unusual for a Tibetan man or woman to devote many years (often beginning as a child) to the study of Buddhism as a monk or nun and then leave the order to pursue the next chapter of their lives as a lay person. When Thupten and Palkyi left their monastery and nunnery, they struggled to make a living. Thupten worked odd jobs but often did not make enough money to support their small family. The best kind of job is one where you enjoy what you do and are contributing to the world. The malas that Thupten and Palkyi make for Hands of Tibet utilize their skill and experience, and provides a good living. 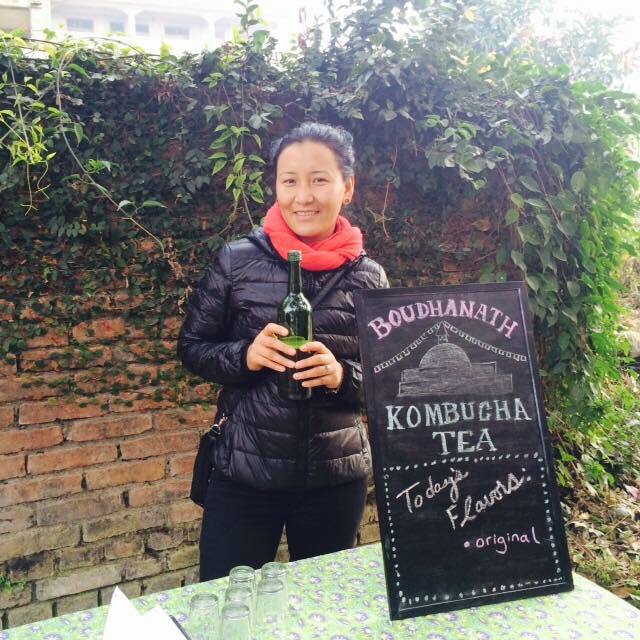 Palkyi has even caught the entrepreneurial spirit, starting her own Kombucha business. Palkyi selling her Kombucha! It's fun to visit the workshop for tea and a chat! Ngawang is Tibetan, she is a former ani la. Ngawang Chodon is from a Sherpa family. These women work hard and are dedicated. As in all parts of the world, it is particular difficult for women to find meaningful work for which their are fairly compensated. It is well known that when the women and girls of a society thrive, the society as a whole thrives. Girl power! Hands of Tibet builds lasting relationships with our artists. Please check out our 108 Beads blog, we will be adding new content weekly. We hope our posts will speak to your every day life, integrating some peace, humor, and mindfulness into your everyday life - plus some history, tips, and ideas about how to use our products! We regularly make trips to Nepal and love to post pictures and information about the beautiful sights we see and amazing people we meet. Our family traveled around Asia for most of 2016, we lived in Kathmandu for most of the year - check out our photos and posts about living in Kathmandu!